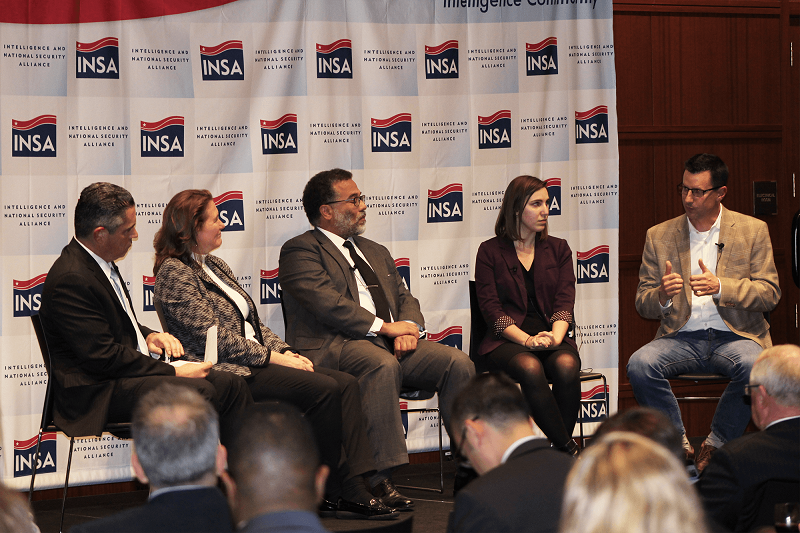 ARLINGTON, VA (November 14, 2017) – A career supporting national security can take many forms – as a contractor, with or without a security clearance, or after transitioning from an unrelated field – according to a panel of intelligence professionals at Serving Your Country in National Security. 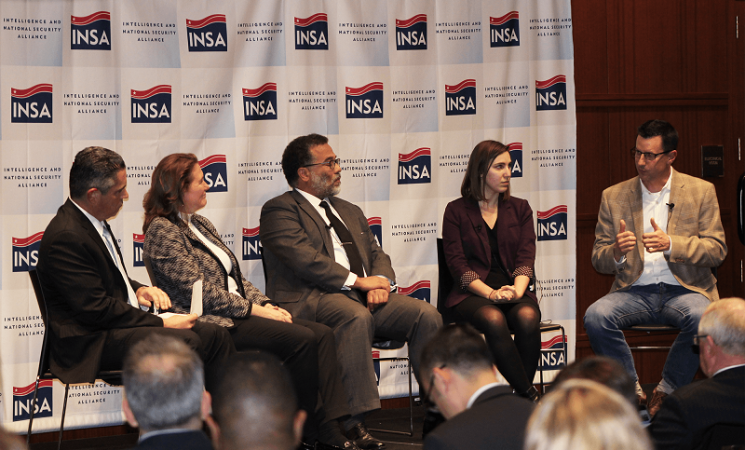 Hosted by INSA’s Intelligence Champions Council and moderated by ICC member Mike Bruni, the panel discussion addressed hot topics for individuals interested in a national security career, discussing the types of skills and mindsets that would thrive in the Intelligence Community (IC). 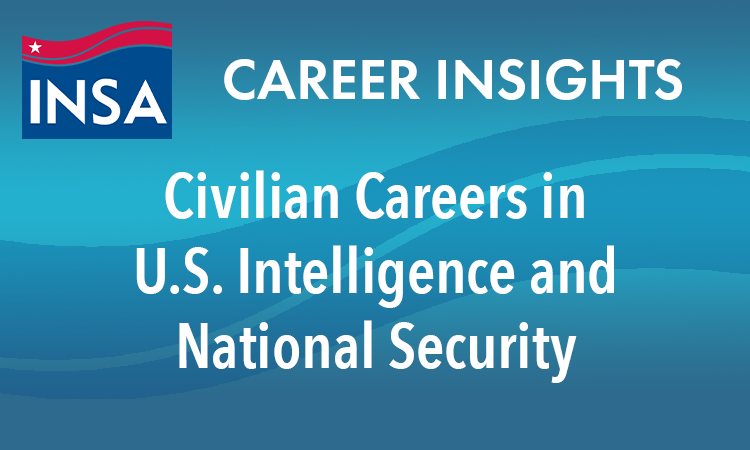 Maja Lehnus said the Central Intelligence Agency (CIA) is hiring for over 100 types of occupations, but certain fields are in higher demand. 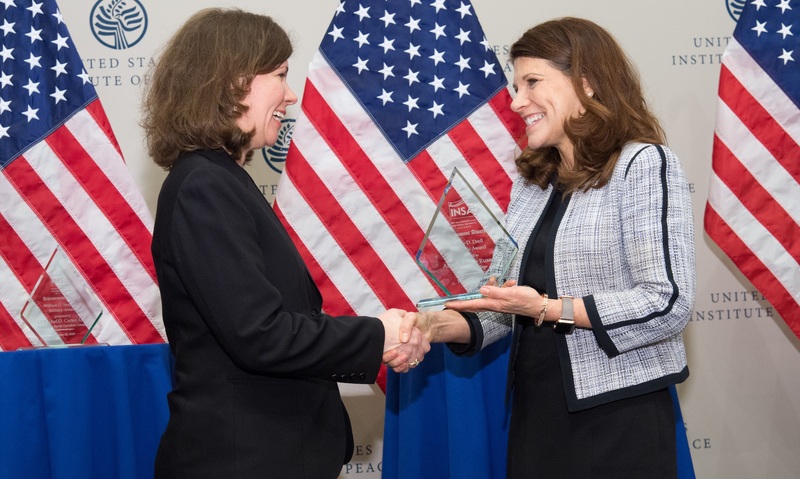 Applicants who have both strong technical and communications skills will gain a competitive edge, said John Goolgasian, a former director of the National Geospatial-Intelligence Agency’s Source Operations and Management Directorate. Now in the private sector as associate partner at OG Systems, Goolgasian said he has not seen tremendous differences between how government and industry approach national security challenges. There are techies and there are people who can write. The people who can bridge that gap are the superstars of the future." Panelist Mandy Misko agreed, noting she worked alongside contractors while at the Department of Homeland Security who conducted work very similar to her own. Misko, a former INSA intern while in graduate school at George Washington University, says she overestimated the importance of a security clearance to have a national security-related career. “I have plenty of colleagues in my organization, FS-ISAC, who are really benefiting one of our critical infrastructure, the banking and finance sector, and they have never seen a classified report or walked into a SCIF in their life, but they are contributing the mission just as much as anyone else,” she said. Misko and Lehnus also addressed an audience question about what it is like for women working in the IC. Another audience member asked about transitioning into the field mid-career. 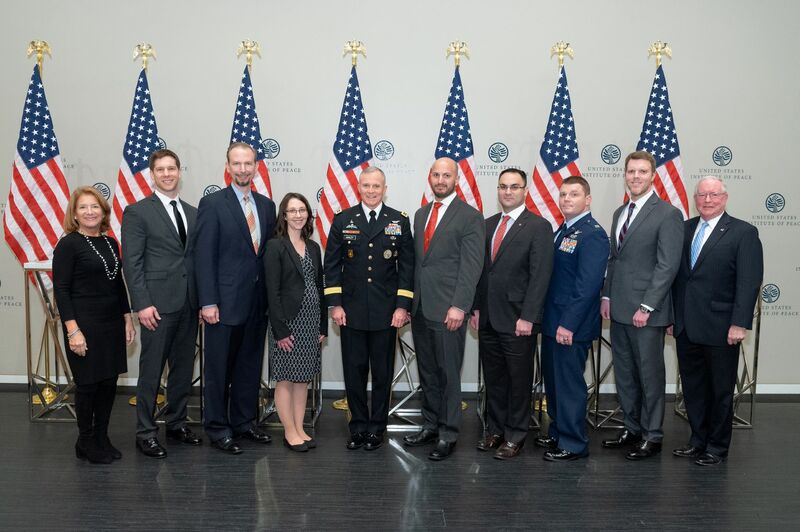 Coker advised the audience that situational awareness – understanding one’s office environment and building trusted relationships at senior and junior levels of the organization – is critical to career advancement. The event concluded with a brief networking reception. Click here to learn more about ICC professional development and mentorship events.